This week on Facebook, there were a couple shared posts about gluten free soy sauces and teriyaki sauces. We usually stick with VH sauces. We love it, and we know all of VH's sauces are gluten free! But we also know VH is not for everyone. 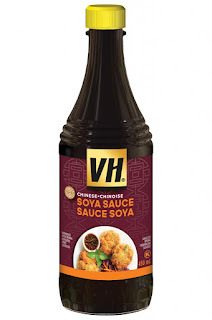 I think sometimes it can have a strong taste, especially their soya sauce. But I think I balance their flavours well. The first post was a Lee Kum Lee soy sauce available. Deisis was the one who shared this on our Facebook page. Second, check out the Kikkoman Teriyaki sauce that is available. Lisa posted about the Kikkoman product. They also do have a gf soya sauce.